Critical thinking is a process consisting of analysis and evaluation in order to solve problems and to make decisions. Exercises in these workbooks nurture young children?s essential ability to sort, associate, interrelate, combine, and sequence. 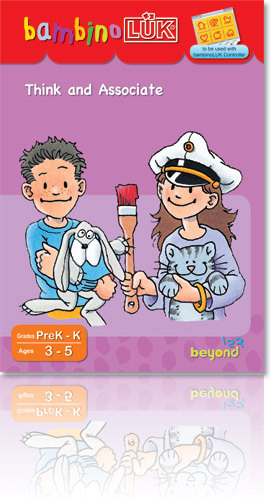 Logical thinking and reasoning skills are then enhanced by these activities. Transportation is an important part of today?s life. Young children are especially fond of activities related to movement. 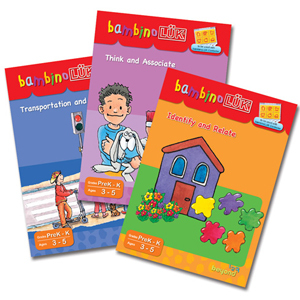 This workbook offers all kinds of exercises using different aspects of transportation to teach skills. Identifying vehicles, recognizing different forms of transportation, reading traffic and road signs, using directions are all utilized in various enjoyable activities. 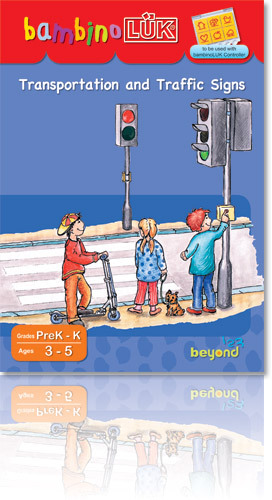 The traffic and road sign activities offer a wonderful opportunity to discuss traffic safety while improving verbal abilities. Visual discrimination, observation, concentration, association ability, and direction awareness are also enhanced greatly. The ability to associate between objects is an essential factor in children?s intellectual development. The key to developing such an ability is to first observe accurately, then think at a higher level by finding the correlation between objects. This workbook provides effective materials for children to learn and refine their observation and association skills in a positive and enjoyable way. The abilities to identify and to relate are the basic foundations needed to develop logical thinking. By providing the appropriate materials, children can learn the essential skills of identifying and relating various characters of objects. 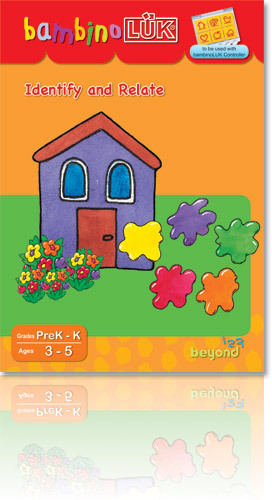 The vivid illustrations and challenging activities in this workbook enable children to have fun while learning. All exercises are designed to use familiar daily objects to enhance the children's abilities to identify, to relate, to observe, to associate, and to connect objects. All those skills are critical for successful learning throughout life. Concentration and visual discrimination are also greatly improved via these challenging activities.